The strategic partnership agreement between the two republics is a serious test of possible strengthening of cooperation, as analysts said. Photo: Press service of the Uzbek president. 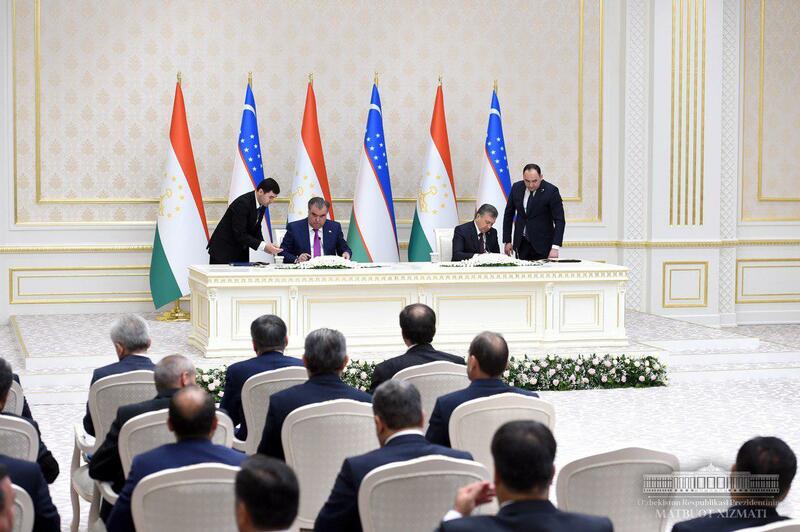 During the visit of the president of Tajikistan to Uzbekistan, the two leaders signed the strategic partnership agreement between the republics, among other agreements. This document envisages the long-term and productive cooperation, demonstration of common goals and visions of a wide range of issues. Yet despite the political will to improve relations and demonstration of good intentions, there are still many unresolved issues between the countries and some of them are viewed quite differently by the parties. Construction of Rogun Dam in Tajikistan is one of the key issues. Uzbekistan, located downstream and dependent on the water flow from Tajik and Kyrgyz rivers, was against the construction of major dams during Karimov’s rule for fear of shortage of irrigation and drinking water for the population. The discussion of this issue was announced openly neither during the visit of Mirziyoyev to Dushanbe, nor during the recent visit of Rakhmon to Tashkent. The expert of the CABAR.asia analytical platform, Yury Sarukhanyan (Tashkent) draws attention to the fact that the Rogun Dam issue was not mentioned in the final statement despite the declared intention of the countries to use the waters of Sarez Lake and to build jointly the two dams on Zarafshan (riverhead in Tajikistan, river mouth in Uzbekistan). “The disregard for Rogun during the meeting can mean that the parties either decided not to cloud the solemn situation with an issue that might cause contradictions, or negotiations over Rogun are held behind closed doors and the parties are not ready to disclose the details yet,” Sarukhanyan said. A Tajik political analyst, Jahongir Boboyev, in his optimistic scenario wrote that the parties can arrive at a conclusion that Uzbekistan can support the construction of other power plants and even Rogun Dam. “Uzbekistan needs electricity, and natural gas reserves are not eternal,” he said. 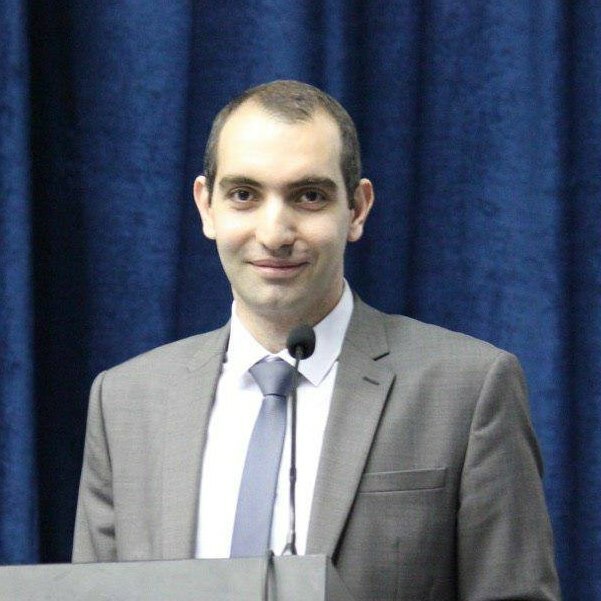 Speaking about bilateral relations, Sarukhanyan noted that full “reload” of relations can be referred to only when the parties will go through initial hardships on their way to the normalisation of bilateral relations. Sarukhanyan said that now the parties have reached rather satisfactory results despite the two decades of somewhat clouded relations between Uzbekistan and Tajikistan. However, he added that the “honey moon” will soon evolve into complicated routine and constant talks about a breakthrough “compared to the previous 25 years” will stop delivering dividends. “I think it’s too early to speak about the limits of friendship between the two countries, especially their leaders. They have no limits yet as they have turned over a new leaf. It’s also unlikely that they will have any serious political differences in the mid-run,” a Tashkent-based freelance researcher, Elier Usmanov, said. According to Usmanov, Tashkent, on the one hand, is focused on building friendly relations with its neighbours, including Tajikistan, and, on the other hand, the results of Rakhmon’s visit prove that both countries are likely to come to agreement; they could reach an agreement on many issues, including the ones that caused a long-term conflict between both countries. An Uzbek political analyst and researcher, Rafael Sattorov, pointed out that earlier the two countries had had a biased attitude at the domestic level towards Tajiks in Uzbekistan and Uzbeks in Tajikistan, as well as fake stories against neighbours from both sides. 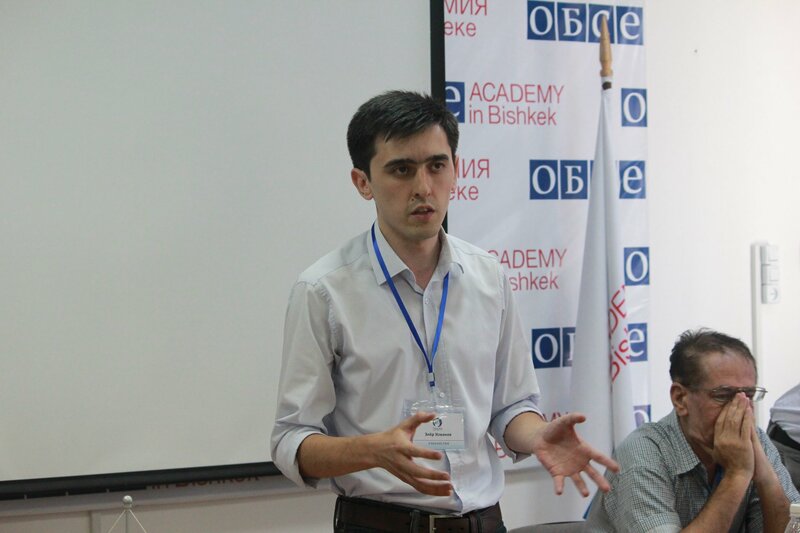 “This annoying political background should be either minimised or marginalised,” Sattorov said. “In order to confirm the words about “fraternal peoples”, the countries need to start paying attention to the university corporations: create joint student, lecturer and researcher exchange programmes,” he said, adding that the cooperation needs to be maintained through intelligence agencies, and cross-border bureaucracy must be eliminated. Sattorov also said about the need for speedy solution of demarcation and delimitation issues, removal of mines in individual border areas. After the visit of Shavkat Mirziyoyev to Tajikistan, the relations between the two countries have become really good – now the citizens of both countries do not need to register for a visit, and the transport connection between the countries has been recovered. A Dushanbe-based foreign policy expert, Komron Hidoyatzoda, said that Tajikistan expected deepened relations in commercial and economic, scientific and educational, cultural and humanitarian spheres after the visit of Emomali Rakhmon to Tashkent. “Over 20 signed intergovernmental documents suggest that the countries have focused on the enhancement of cooperation in all the spheres of national economy, as well as in the security and defence spheres, military and military-technical cooperation,” Komron Hidoyatzoda commented. 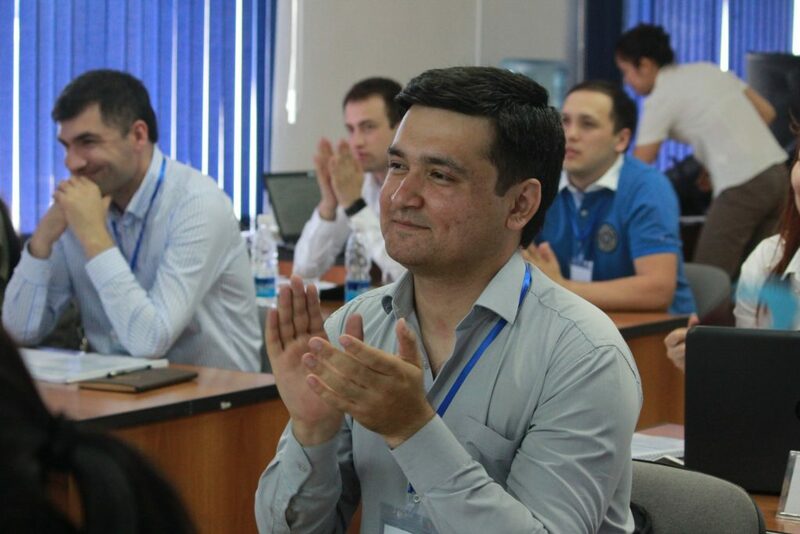 In addition to real economy projects, a Tajik political analyst, Jahongir Boboyev, said that the tourism sector in both countries has high potential for the mutually beneficial cooperation – Tajikistanis are interested in the historical monuments of Uzbekistan, while Uzbekistanis will be interested in the natural specifics and mountain scenery of Tajikistan. “The strategic partnership agreement means the comprehensive enhancement of cooperation. Compared to previous years, now Dushanbe will have no opportunity to accuse Tashkent of failures in its economic projects, since they are strategic partners now,” Boboyev said. 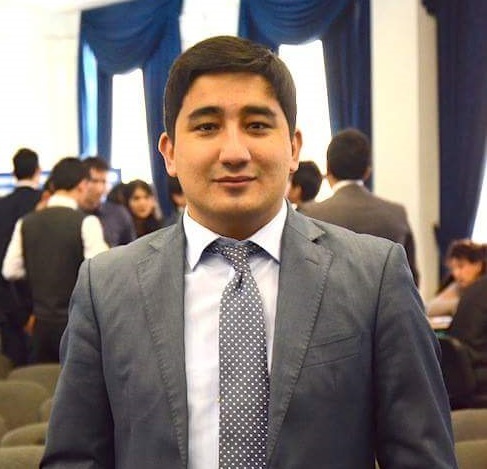 According to experts, despite the existing contradictions, the positive atmosphere of relations between Uzbekistan and Tajikistan and primary changes that occurred in the short period of time have distinctive outcomes. Tajik and Uzbek officials have held over 50 meetings at various levels as part of enhancing cooperation since the start of the year; also, the intergovernmental commission has held four meetings regarding the commercial and economic cooperation. According to official data, in the first six months of this year the volume of mutual trade has increased by 35 per cent compared to the similar period of 2017. Commercial contracts and agreements were signed at the meeting in the amount of over 300 million US dollars. The state visit of Emomali Rakhmon to Uzbekistan was made in August 17-18. It was a return visit after the visit of Mirziyoyev to Dushanbe that took place this March.